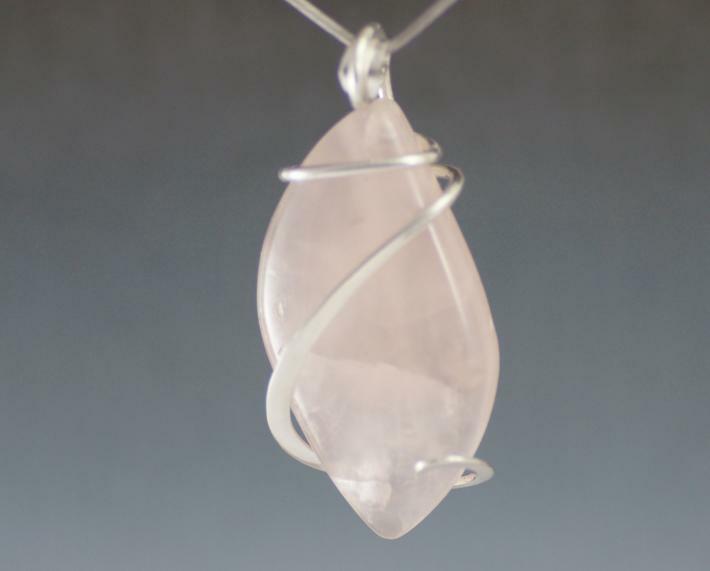 Classic ice pink rose quartz, this natural stone set in a sterling silver cold forged setting. The metal is hand-forged, shaped, filed and polished lovingly by hand. It has a bail that allows up to 3mm leather cord or chain to be used with it. 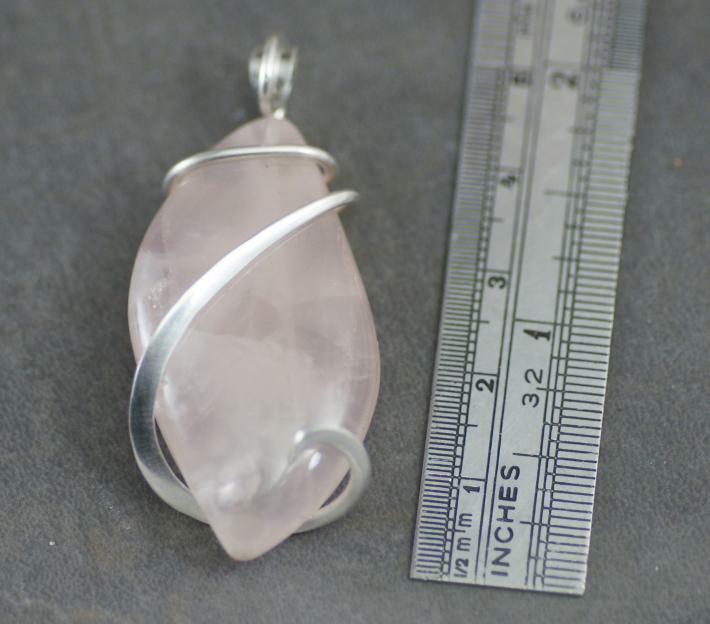 It comes with an 18 inch, 1mm thick stainless steel cable necklace.